Banana Muffins are very popular recipe.But here,we are trying a variation to the recipe,making it healthier and egg less too. Banana Muffins are muffin version of banana bread.Muffins ,as you all know,are a quick bread of American Origin. 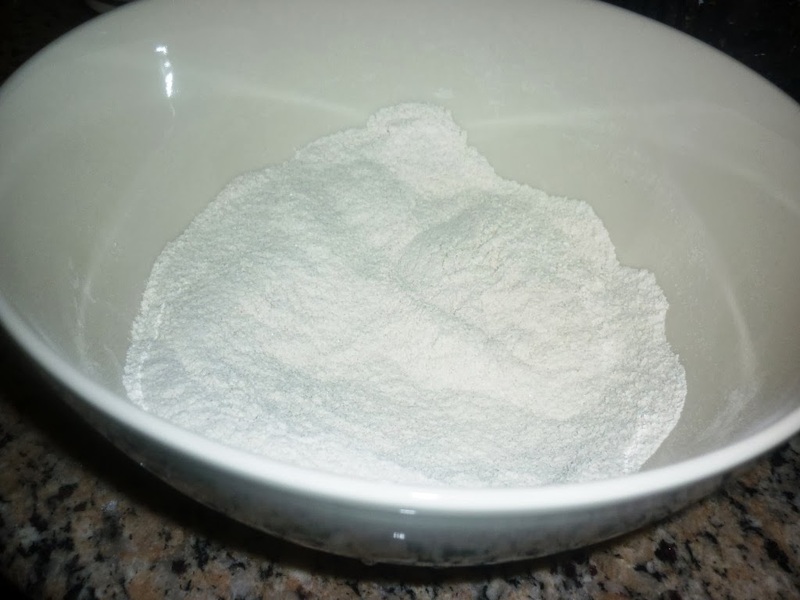 Here ,I have mixed all purpose flour with some whole wheat flour ,to make it healthier. Banana muffins can be a great after school snack or a good breakfast item for kids.These are healthy as it contains eggs,butter,banana & wheat flour. Mix all dry ingredients with a wire whisk. These are Eggless Muffins ,so,I used ,2 tbsp Condensed Milk instead. Whisk all wet ingredients in a separate bowl. Combine wet ingredients into dry ingredients well. Don not over stir.Batter should be very thick. 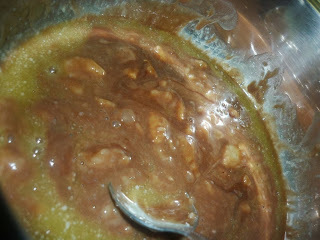 (It should be thick,sticky batter,unlike cake batter).Add 1-2 tsp milk if the batter is too thick to scoop out. Add blueberries or chocolate chips according to your choice. Isn't this egg less muffin recipe so simple? And the results are awesome if you follow the mesurements. We can store this for 3-4 days. Soon ,out of oven , the top of muffins will be crispy,but as you store them,it becomes soft and nice. 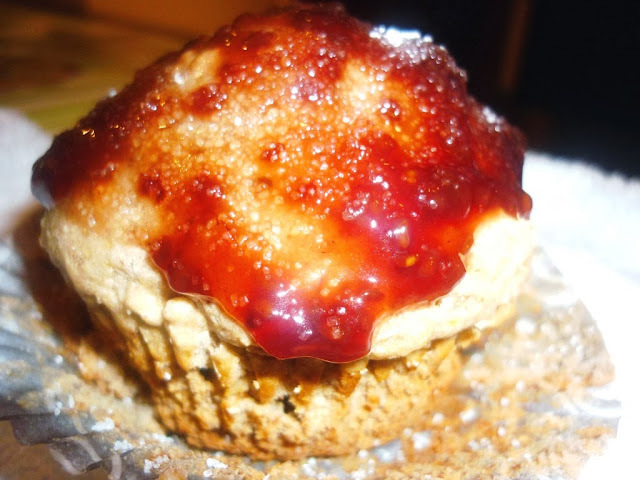 Serve it with a topping if you prefer,since we have adjusted the sweetness to minimum.That's why muffins are quick bread,not cup cakes.So here is my delicious muffin with a topping of my choice.